My routine this year has become a lot more simplified and I prefer that, skincare & haircare. 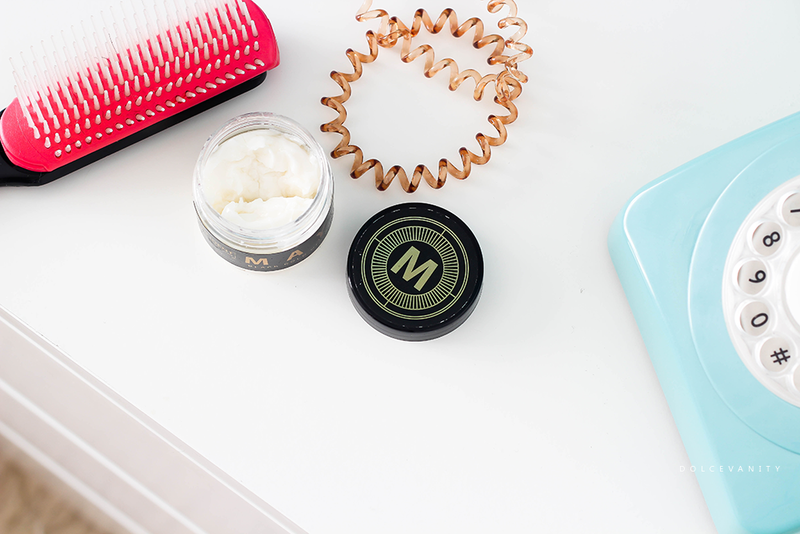 When it comes to hair it's the simple L.O.C method for my curls - leave in, oil & cream. My leave in, is normally the Giovanni Direct Leave-In Conditioner, while my oil is Coconut Oil and I've been using this 'Confident Curling Créme' from MAYA - Black Gold Of The Sun. It has a unique blend of natural oils & extracts, they're all ethically sourced and produced. For all hair types it especially helps to keep hair light but moisturised. Ingredients that include Olive Oil, Argan Oil, Marula Seed Oil, and Baobab Oil for condition & softness. Shea Butter, Flame Tree Extract, Tomato Oil, and Carrot Oil to keep it strong & shiny. Cedarwood Bark Oil to fight against thinning and slow the aging process of hair. Soybean Oil, Radish Root Extract and Rice Extract will make hair manageable & easy to comb. Well blended and nicely mixed. It's a smooth créme that doesn't sit on the hair, it absorbs into the strands and holds curls nicely. I find that I don't need to use much which is good, sectioning the hair limits the amount used. I mostly like to put it on the ends when I'm doing sealing the hair, I find my ends love it. Run it through my hair while straight and didn't find it to be too 'watery' that it'll revert the hair back. It's not cheap with the 55ml at £12.50, 250ml - £22.95 & 520ml £48.00 but it's natural with vitamin and antioxidants for the hair, so it's beneficial all year round. What do you use to keep hair light & moisturised? I like the sound of a simplified hair care routine and i am with you on the coconut oil, absolutely fantastic stuff. I haven't heard of this product though so may check it out. Yes I love oils for the hair & coconut oil is especially good for my hair. My hair is in shocking condition at the moment due to colouring so this could be a good investment for me. Oh yes some oils might help your hair to revive the condition. I would soak my hair in coconut oil as a hair mask or mayo. Girl, i know your comb wasn't that clean for this photo! (Kidding). So im lazy, when I do my hair I don't even bother using LOC. I just do what I feel like. That said, my method is more LCO. Oil last to seal it in I guess, plus I find when I'm done rubbing everything into my head, oil is really good to just run your hands through with to scrunch and detangle without causing frizz. I know you love your oils - have you tried - wait googled it, its actually silicones. Never mind, ill be binning that then! HA no but theres another oil - from ORS its coconut oil, should be on my blog somewhere. I quite like that as a nice refresher at the end. Plus it smells cute! Can't believe I got outed. You fly on the wall LOL. I think I'm now going back to the LCO method, my hair being low porosity might need sealing a bit better for hydration. I might try that as I find my hair at the back can be a lot more frizzy than the front. LOL them cones always find their way in somehow. I haven't the one thing I use from ORS is their edge control, mm yes oh and their smooth N hold pudding - need for those bantu knots. I love me some cute smelling hair mmmm!